"National". 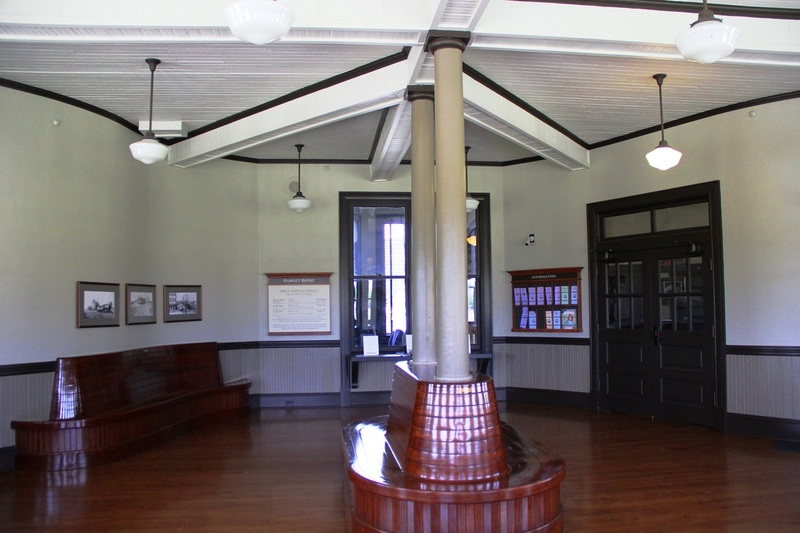 The station has benches to rest between trains, along with a beverage machine and rest rooms inside. 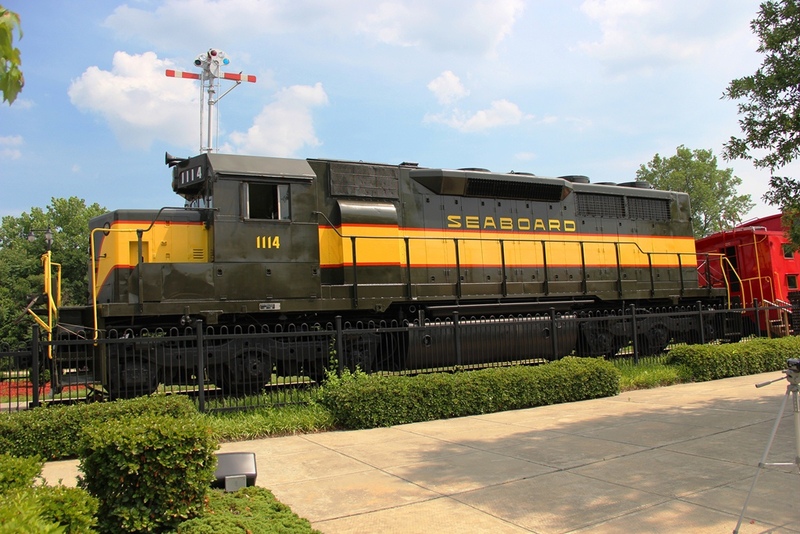 Across the street, a cosmetically restored Seaboard Air Line SDP35 and caboose is displayed. 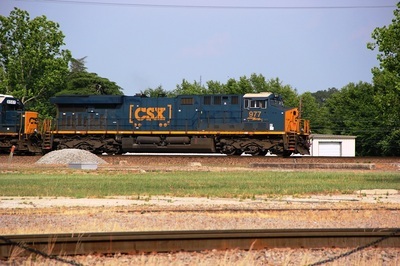 As for train-watching from the station, you can see just about every train that CSX puts trough Hamlet, the problem is most trains use the Monroe or Wilmington connecting tracks, both visible from the station, but too far off to really enjoy them and get nice pictures of them. Many fans access on open lot across the way to be right next to the action, but I am not sure who owns the property, and are you really supposed to be there? I have only visited Hamlet twice; it’s not one of my favorite train watching spots since I enjoy photography and taking any kind of decent pictures from the station itself can be a challenge. 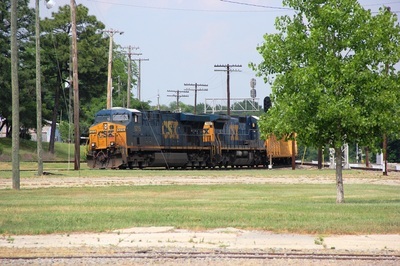 Many of the passing trains pass through Monroe Junction to access Hamlet Yard. For photographs; a zoom lens will be the best choice of lens. There are also numerous obstacles which hinder photography; trees, polls, pipes sticking out of the ground along with other obstacles will keep you from capturing that perfect shot in many cases. The trains that pass the station directly will be your golden treasure if the lighting is right. Many local fans (or at least fans that are familiar with the area) seem to be better at being in the right place at the right time for photos, those people usually move around using their automobile. Hamlet is somewhat off the beaten path, until recently there was no interstate highways near Hamlet. 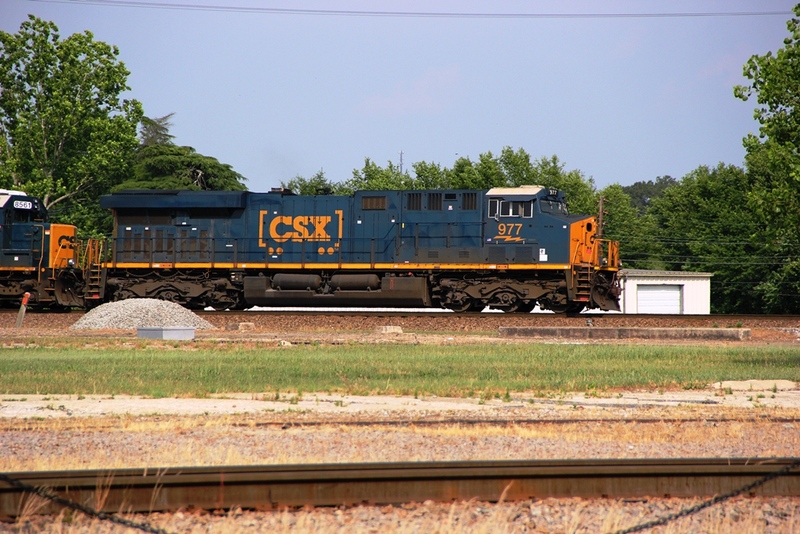 Recently; US-74 is been upgraded to the new I-74 which runs east to I-95, making access to Hamlet easier. 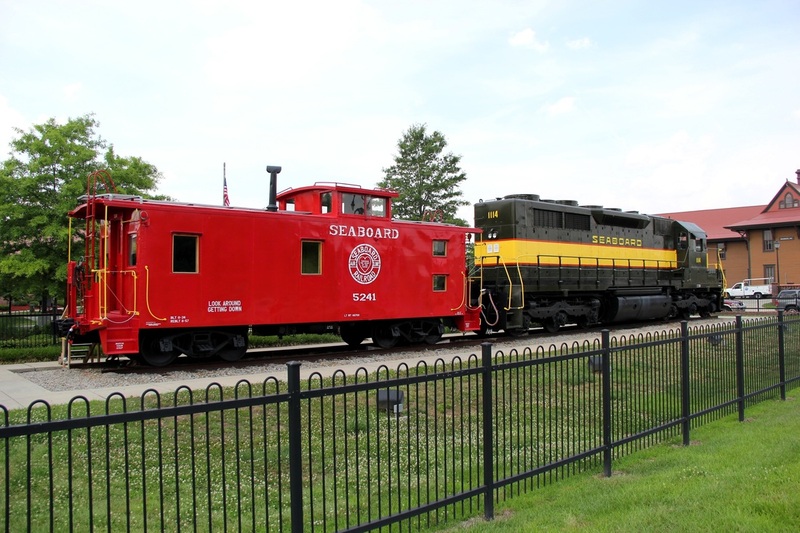 What is the plus side of railfanning Hamlet? 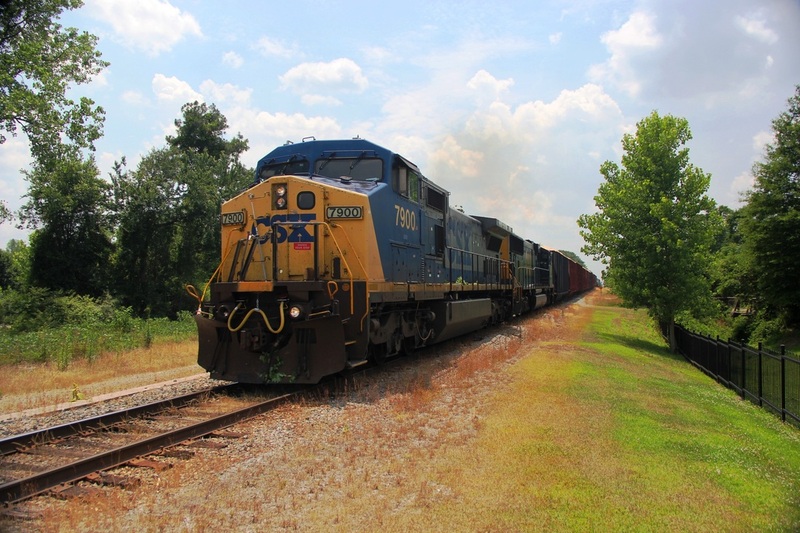 It's a nice, quiet, safe, and a "railroad busy" location to watch trains. That's what will make me look forward to returning in the future! 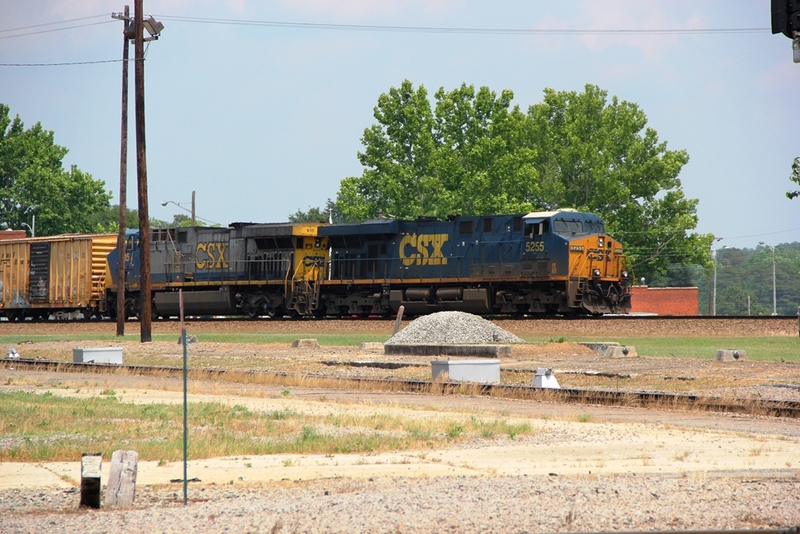 Rail Traffic: Expect around 40 freights during a 24-hour period, plus 2 Amtrak trains. Site Details: The station building is a good center point for local railfanning. It has benches for waiting, and is located at the single track diamond. 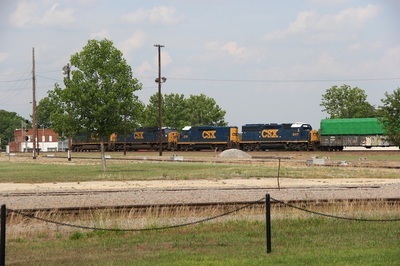 Many trains run to / from CSX's Hamlet Yard, problem is the majority of trains will be coming off the Monroe or Wilmington Subdivision connection, visible from the station, but not close enough to enjoy. Many fans locate across the tracks to an open parking lot, where a majority of the trains operate. Natural lighting from the station area in the AM hours is poor for photography. 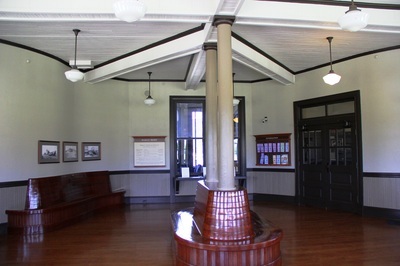 Restrooms on site: Yes, in the train station building. Food: Beverage machine located in the train station, other food is a short drive away. 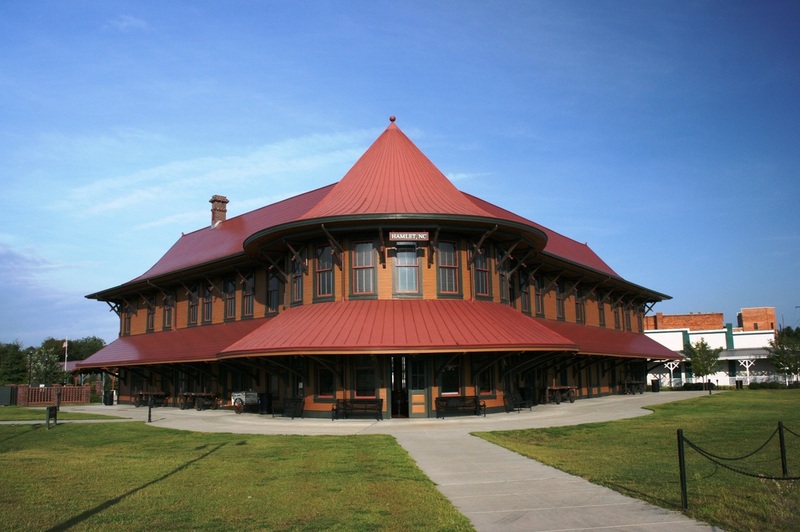 Picnic Area: No, but benches around the train station provide a place to rest between trains. Lighted for evening railfanning: Yes, but you will not be able to trains using the Monroe and Wilmington connecting tracks, too dark. FE (Wilmington and Hamlet Terminal Sub.). Motels / Hotels: There are not motels in Hamlet, but several a few miles down the road in Rockingham, NC. Rockingham does have some motels that do overlook the railroad, but have not been checked or included in RailfanMotels.com .